Artisan keep inherit the great techniques tradition and at coastal small town, Kojima. We believe “Jeans” are not only fashion items but also the tool for creating lifestyle. 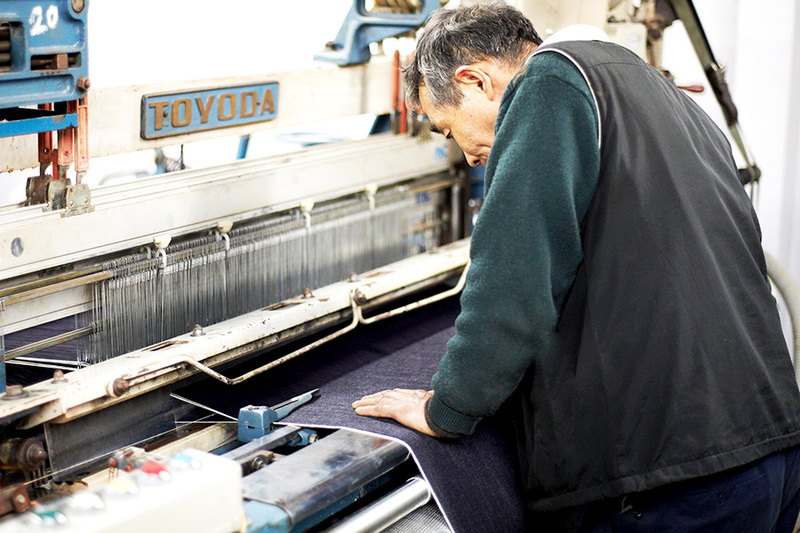 The History of the development of the jeans industry in Japan. In the early 1960s when the Tokyo Olympics were held, the youth of Japan highly yearend for jeans as daily life was improving with the advent of the high growth period. Teens wanted wear wanted to wear jeans in a cool way likes the movie star, and rush to stores (used cloth at the time). A dyer in Okayama developed a “continuous process” for industrial production in 1967 by expanding the family business. And in 1970, a dyer in Hiroshima ran an in-depth analysis of the composition of high quality denim produced in America and successfully developed the indigo dyeing machine dubbed “Nintai-go(endurance).” This machine which was the first of its kind in Japan, significantly enhanced the completion rate of the “rope dyeing” method that is essential to the production of denim . As if in response to this ,major domestic cotton spinning companies soon began devoting resources to the production of denim material. A major spinning company in Kurashiki leveraged their development might to upgrade and expand spinning facilities for thick yarn count at their Okayama factory . in 1973 they produced the first domestic heavy ounce denim , and 100% domestic-produced jeans were born at a clothing company of Kojima. After that , demand for domestically produced jeans continued to increase from retail distributors in Tokyo areas where jeans were largely bought , and a movement demanding production sites in nearby Nothern Kanto and Tohoku regions also accelerated. 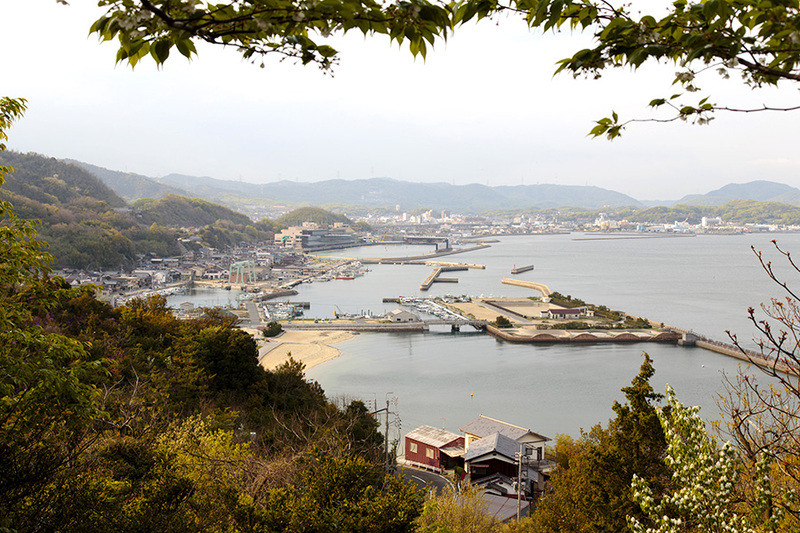 However , production sites were concentrated in western Japan , in particular , the Seto Inland Sea of Bicchu(Kojima) and Bingo(Ibara,Hiroshima) which had an already established excellent textile industry infrastructure. This led the industrial base to a further build up here , and the area has continued to be the single largest jeans production site to this way . “MOMOTARO” = ”Peach Boy” is one of very famous fairytale in Japan, The “legend of MOMOTARO” has been passed generations. The legend’s origin are said to come from an “Ura”　legend which was has been handed down in Soja-city, Okayama. And many places with mysterious history and culture, remain in Okayama. Today, many people know “MOMOTARO” was born from a peach that came floating down a stream, rolling over and over. However the popular “legend of MOMOTARO” from the early Meiji period was actually a story of rejuvenation. In this version, MOMOTARO was not born from a peach, but was born to an old couple who ate the floating peach and regained their youth.